Hair loss has become a common problem in people’s life.Some patterns of hair losses are thinning on the crown,receding hairline or thinning through a part. 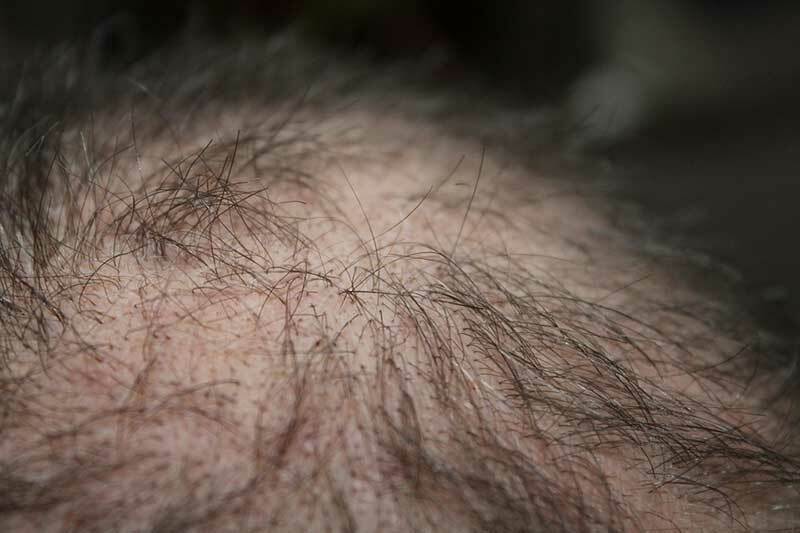 Thinning on the crown: This pattern of baldness is normally seen in men and rarely in women .Hairfall is almost circular in this case and it the thinning increases and a patch of the scalp will appear . Receding Hairline: Receding hairline has been the big problem.Reasons are many like genes,pollution,stress and hormonal disorders.The hair become thinner and hairline moves backward. Patchy hair falls:There may be the sudden loss of hair in patches .Before hair loss, you feel itchy .This pattern of hair fall is mostly seen in women. Poor blood supply to hair follicles: Hair follicles which are underneath the scalp die off and there is stop of growth of hair. Ageing:Ageing is also a reason for hair loss.Hair loss due to ageing is permanent. Unhealthy diet:Diet which not gives essential nutrients and minerals also cause hair loss. Stress:Stress due to profession or personal issues also adds to the hair loss. Chemicals:Hair styling gel or colors use a lot of chemicals this will damage your hair. Sleeping pattern:Irregular sleeping pattern and Lack of sleep changes physical and mental functions of the body resulting stress and hair loss. Use of hard water for shower: water containing high mineral content mainly calcium and magnesium carbonate is called hard water.Using hard water for shower frequently may cause hair fall. Daily head shower: This may not be big reason but daily head shower will lead hair dryness.This may lead to hair damage and finally hairfall. Quit smoking and consumption of alcohol:This will reduce your hair fall and also reduces chances of other deadly diseases. Yoga,head massage and taking a small break when you work will reduce stress. Avoid using hair styling gel or coloring which may contain chemicals. Avoid using hair dryers which may damage your hair over time. Avoid irregular sleeping pattern and being awake unnecessarily till late night. Very informative. Thank you for sharing this post. The various opinions on how often to wash your hair are confusing. Topknots take more work than they should; otherwise they look weird. Are you bothered about something? Depression is the root cause of hair fall! Eat healthy , sleep well. If your hair fall continues , try consulting to a doctor , sometimes hair falls due to other health issues. Hey shahul don’t worry there is solution for everything…1.Take the white of one egg and mix in a teaspoon of olive oil. 2.Beat to give a paste-like consistency and apply to the entire scalp and hair. 3.Keep it on for about 15 to 20 minutes and then rinse with cool water and a mild shampoo. Here are some easy tips to help avoid hair loss. Some asanas of Yoga is quite beneficial in prevention of Hair loss and Hair fall. Yoga augment blood circulation into the head and scalp region thereby strengthen hair root internally. Asanas like Shirsasana and Sarvangasana enhances blood circulation to the head and scalp region thereby facilitate hair growth. Massage your head region with coconut oil or Vitamin E oil prevent hair loss. Massage your scalp with Camphor + Coconut oil strengthen the root hair and prevent hair loss. Massage with the mix of honey and egg yolk is quite beneficial in the management of hair loss. Slow massage of the scalp portion stimulate blood circulation and helps in re-grow of hair. If you want shining hair, use the mix of Amla, Shikaki powder and curd. This mixture helps to clean the pores of the scalp and stimulate hair growth. suggest me some ways for fast hair growth? Be Happy , Eat healthy , more veggie , protein. I am not kidding , it really helps. Hey Tina,Using castor oil on your hair can have astonishing and wonderful effects. It’s all simple: just massage your hair with castor oil before you go to bed and leave it on overnight then, the next morning, wash and condition your hair, as usual. Do this treatment once or twice a week for a couple of weeks and you will be astonished by the amazing difference in the health of your hair! It works wonders for hair growth! Also, castor oil can help you to grow longer lashes and thicker eyebrows. Hey Tina hope your doing well…Instead of going for some external remedies do try some of the home remedies the best is to use 1/2 spoon of egg white,1tp of olive oil,1tp honey mix well and apply it for alternative days, it has the best results. Hi tina,if You don”t get any result from the above comment,you can use indulekha oil. Trust me, I have used it and I have got nice result by using this oil. hello tina,Feed yourselves with a generous dose of orange and green leafy veggies, brightly coloured fruits like guava and lemon, fix and eggs, soaked almond and sunflower seeds. I have color-treated hair that is prone to breakage. How can I prevent both that and color fading at the same time? How to make thin hair thicker? Can home remedies cure this? If you wish to have a thick, natural home remedies are the best way forward. There are effective household tips that can easily fix hair thinning problems. Aloe Vera is the most effective of all the hair thinning remedies. Aloe Vera gel can easily be obtained by crushing a few fresh leaves. Massage your scalp with this gel and leave it on for 30 minutes. Rinse off with warm water. Eggs are a rich source of protein and sulphur. Frequent protein treatment is crucial for a thick, strong mane. Take an egg white and mix it with one table spoon of olive oil to form a paste. Apply this on the entire scalp and hair. Avocado is well-known for its numerous health benefits. Mash an avocado and a banana together and massage your scalp with this mixture. Leave it on for 30 minutes so that the nutrients get absorbed properly. Rinse off with a mild shampoo and apply a conditioner afterwards. When it comes to treating hair loss and thinning, Amla is the safest home remedy. It is a powerhouse of antioxidants and vitamin C. Besides being good for your hair, consuming Amla is also healthy for your body. Make a paste of Amla with fresh lime juice in equal quantity. Apply this on the scalp and let it dry. Rinse off using warm water. Fenugreek seed is a common household remedy to treat hair loss and thinning. Soak 2-3 table spoons of fenugreek seeds, depending on your hair length, overnight in water. Rinse your hair with this potion to ward off dandruff and promote hair growth. Henna leaves have been used for centuries to improve the health of the hair. Henna seals the hair cuticle that, in turn, strengthens the shaft at the root of the hair. It also imparts a natural color to your hair and gives it a soft texture. Grind fresh henna leaves with water to form a paste and apply it on the hair, avoiding the scalp. Leave it on for three hours and wash properly afterwards. Can anyone suggest me how to control hair fall? Try these, it will work..
1. Some asanas of Yoga is quite beneficial in prevention of Hair loss and Hair fall. Yoga augment blood circulation into the head and scalp region thereby strengthen hair root internally. Asanas like Shirsasana and Sarvangasana enhances blood circulation to the head and scalp region thereby facilitate hair growth. 2. Massage your head region with coconut oil or Vitamin E oil prevent hair loss. 3. Massage your scalp with Camphor + Coconut oil strengthen the root hair and prevent hair loss. 1. Remove Causes of Hair Loss: Our first natural beauty tip is to bring about changes in your life style and eliminate the above causes of hair loss, as much is possible. 2. Regular Massage with Hair Oil: Massaging your scalp increases blood circulation in your scalp, stimulates hair follicles and in turn strengthens your hair roots. This also helps in to cure hair growth deterrents like fungal infections and dandruff. A bonus point is, it also helps in controlling your stress levels which is another reason for thinning of hair. What oils can you use for thick, frizzy, and dry hair? Avoid spicy, heavy, and oily foods as well as tea and coffee. Avoid refined foods, refined sugar, junk food, and alcoholic and carbonated drinks. Increase the intake of fresh fruits, green leafy vegetables, and vegetable juice prepared from lettuce, carrot, capsicum, and alfalfa. Please provide some home remedies to make my hair soft and silky..
Is applying heena or mehndi cause hairfall?